Are you a college angler? Do you enjoy making an impact on your local waterways? Then look no further than the TU Costa 5 Rivers Program. 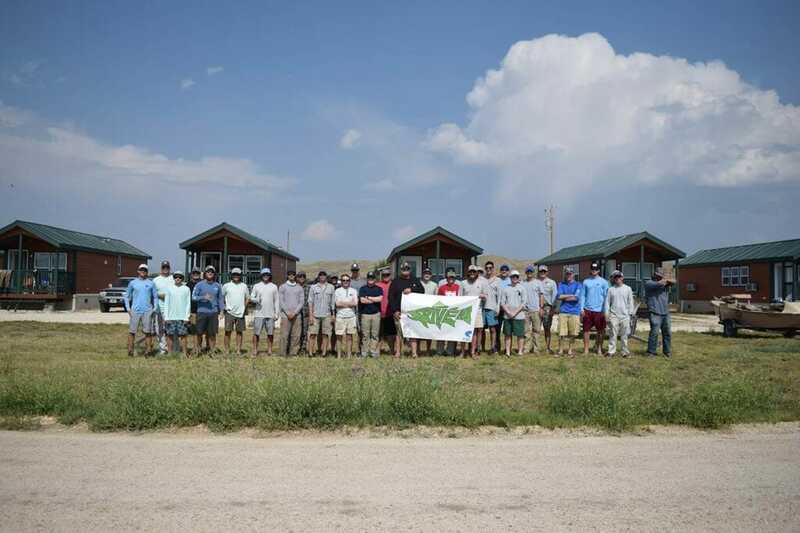 The Trout Unlimited Costa 5 Rivers program is a network of more than 100 TU-affiliated college fishing clubs around the country focused on conservation. 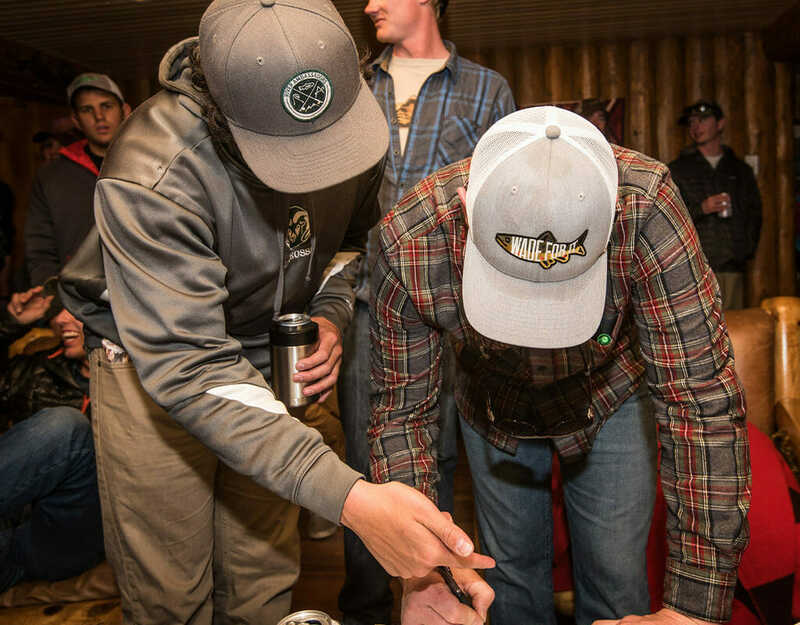 As the capstone of the Trout Unlimited Headwaters Youth Program, these clubs seek to engage current and fly fishers-to-be on their campuses nationwide. 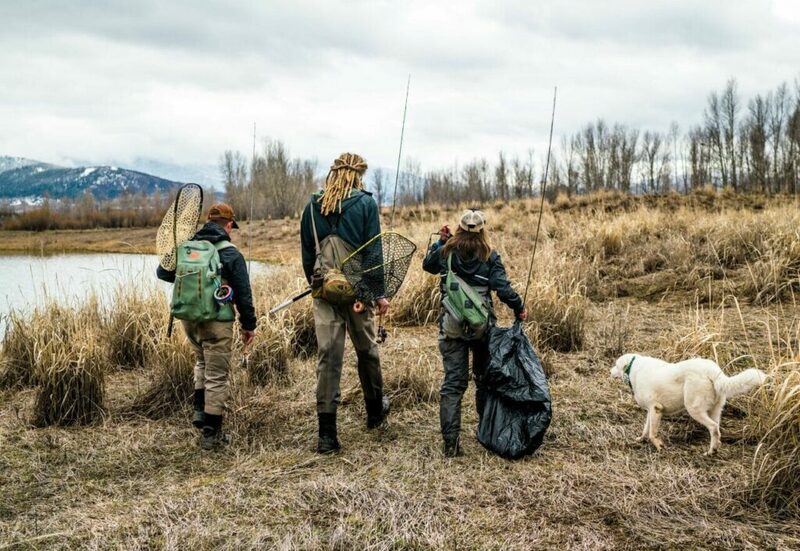 Through their affiliation with Trout Unlimited, clubs plan and participate in a series of events/initiatives in conjunction with their local TU chapter. Upon completion, club members earn pro deals on equipment to reduce the prohibitive cost curve of entering the sport. Anything from a club stream clean up or restoration project to a water resource advocacy project. Each club completes an event that engages their campus and/or local community. This can range from a Project Healing Waters event to a learn to fly fish event on campus. Each club president, if they so choose, has the option to become the Costa Campus Ambassador for their college. Each club completes a fundraiser to cover the cost of their annual programming. This can be anything from selling club T shirts, to a GoFundMe page. Each club works with their local local TU Chapter to complete their club goals for the school year. Club events include conservation, community outreach and a fundraiser. These events are a great way to involve the local TU Chapter. 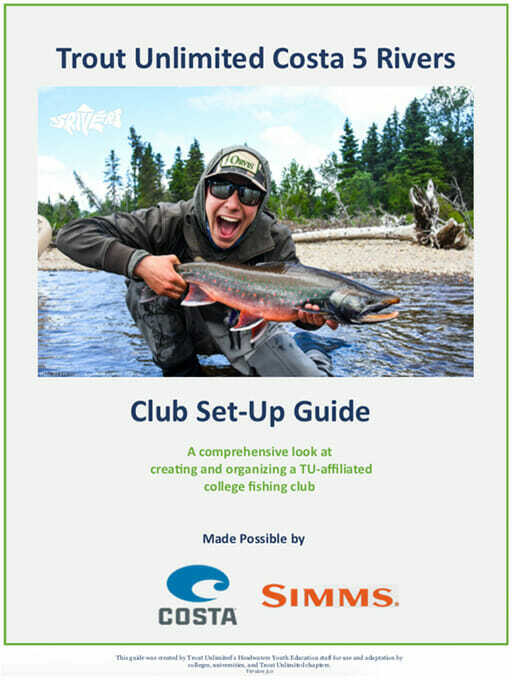 Upon completion of these initiatives, the club earns “5 Rivers Pro” status, which gives every member of their club discounts on equipment ranging from rods, reels, waders, and tying materials as a way to reduce the prohibitive cost curve into getting into the sport. Each club is encouraged, but not required to complete these initiatives to be part of the TU Costa 5 Rivers affiliated network. As president of a 5 Rivers club, you have the opportunity to become a campus ambassador for Costa Sunglasses. Costa Ambassadors are not asked to take on any additional duties above and beyond the presidential roles. We will provide you with a pair of Costa sunglasses on a yearly basis, which will be facilitated through Andrew Loffredo, the 5 Rivers Coordinator. 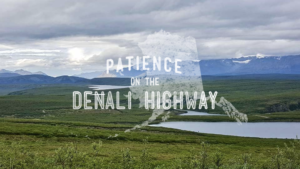 The role of the ambassador ito improve the club and engage the campus community by growing membership, getting members to rallies and executing successful events, gatherings, meetings and conservation projects. Costa Ambassadors are evaluated on a semester basis. Those who demonstrate exceptional leadership abilities are rewarded for their efforts.Each school year, 10 top Costa Ambassadors are recognized as “Top Costa Ambassadors” receiving incredible prizes for their work on their campus. Also, as the Costa Ambassador for your college, you have the option to attend the annual Costa Ambassador Summit. This event is a free club leadership development opportunity for each club president. Club Growth: How much has your club grown over the course of the school year, is it a new club? Outreach: How effectively has your club engaged your campus/ local community; have your reached out to other 5 Rivers clubs/ your local TU chapter in the area to do joint programming; have you helped get other clubs off the ground at other universities? Events: How many people attended; was your TU Chapter/ another 5 Rivers club involved? Media: Social media posts, did you you make a video about the club/ an event that you hosted? Each semester an ambassador submits a report to the 5 Rivers Coordinator describing club activities for that semester, such as club events, how they engaged their local TU chapter and other 5 Rivers clubs in the area. 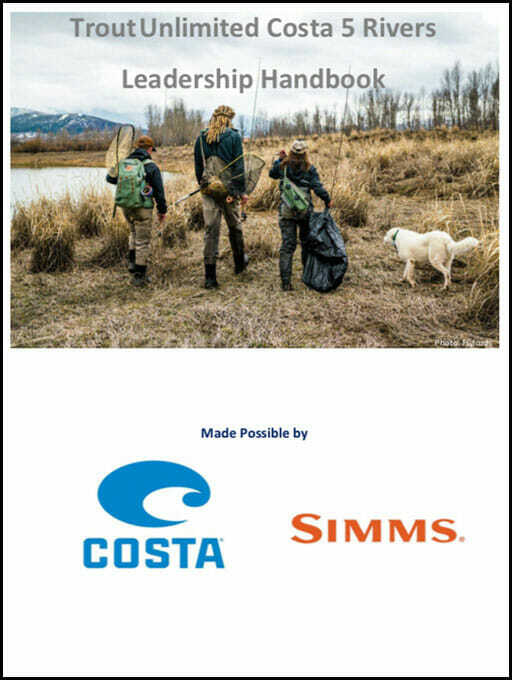 Check out the 5 Rivers Guide, and Leadership Handbook provided below. They go over everything from club inception to tips and tricks for club outings! After reading those over, if you would like some more information or if you would like to start a 5 Rivers club, please email the 5 Rivers Coordinator, Andrew Loffredo.